The intense aroma of fresh basil is one of the hallmarks of summer and a garden in the full swing of production. The Greek name for basil – βασιλικός – also translates as “royal”, showing the regard that it has had for a long time. It is also a symbol of love in Italy, where it is used generously in many dishes. For the absolute best aroma and flavor, basil must be used fresh – the fresher the better. Luckily for us, it can be preserved through several different methods and brought out in the depths of winter to remind us of what summer was. 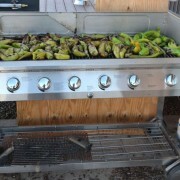 The easiest way is to freeze or dry the leaves. To freeze, just puree the leaves with a little water to a thick consistency and put into ice cube trays. When completely frozen, pop out into a gallon sized Zip-lock bag and store in the freezer until ready to use. They will brighten up soups, sauces and can be used to make a very tasty tapenade. 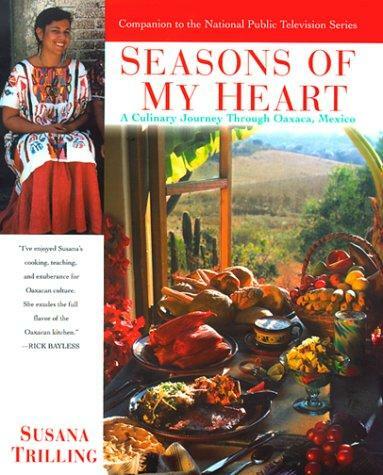 Drying the leaves reduces the fresh aroma, but keeps most of the flavors for soups, stews and sauces. Make sure that they are dried to a brittle stage to avoid any moisture that can spoil the leaves in storage. 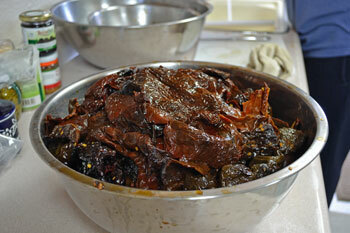 Use sparingly when dried, as they rehydrate and can overpower milder sauces. Yet another method to preserve those delicious summer-fresh flavors is to make pesto and freeze it, either in ice cube trays or in 6 – 8 ounce containers. It won’t have quite all of the punch of fresh pesto, but is mighty close when you are longing for the fresh flavors of summer! 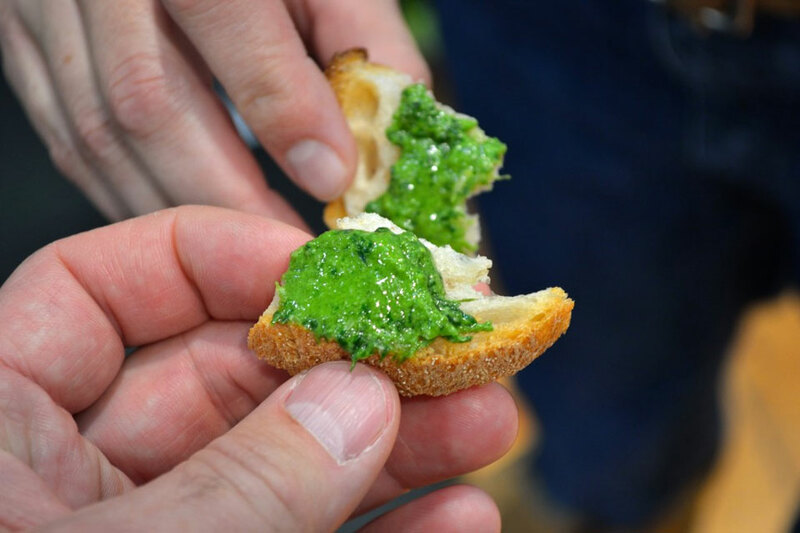 Read further for a traditional Pesto alla Genoves recipe, along with a video demonstration from Slow Food Terra Madre last October in Turin, Italy. When you are absolutely overrun with basil, consider making herb-infused vinegar with basil, rosemary, thyme, marjoram or any combination for beautiful, thoughtful and highly tasty gifts. Just half fill a one gallon glass jar with air-dried herbs (leaves and stems, everything but the roots) and fill with almost boiling vinegar. High quality vinegar will give a better flavor; consider using apple cider or rice vinegar for great flavors. Cover loosely with a lid and let the herbs steep for at least one month or more. Taste occasionally to see when the flavors have developed to your taste, then strain the vinegar through cheesecloth and fill a decorative bottle. Mention basil and immediately pesto comes to mind. Exactly when the combination of basil, cheese, garlic and pine nuts came to be is uncertain, but we do know that the Romans ate a paste of crushed cheese, garlic and herbs that was called moretum. The first recipe that we know of is from 1863 in La Cuciniera Genovese written by Giovanni Battista Ratto, so this delicacy has captivated us for quite some time! 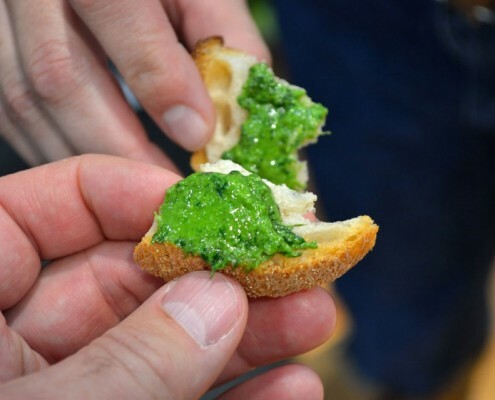 Here is the classic Pesto alla Genovese followed by a video demonstration that we filmed at Slow Food Terra Madre in Turin, Italy in late October 2012. This is the time honored, traditional method that really does yield a superior flavor, if you have the mortar and pestle and the time. Wash the basil, pulling all the leaves off, and put them in a colander. 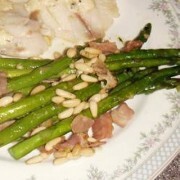 Start the crushing process with the garlic, pine nuts and a pinch of sea salt. When a paste has formed, add the basil with another dash of sea salt. The rule of thumb is a clove of garlic per thirty leaves of basil, but you don’t have to count the leaves! Gently roll the pestle against the mortar walls, shredding the leaves. As soon as basil juice starts to form in the bottom of the mortar, it’s time to add the two grated cheeses to the mixture and continue to stir until a nice green paste is formed. After a few minutes a smooth, consistent paste will be formed and you will have the tastiest pesto! Purists will cry foul at this, but with care a food processor can give you very good results. It may take some experimenting to create a truly memorable pesto, but it is worth it. To avoid spoiling the pesto flavor by the food processor, take care to minimize the heat produced by the blade. Chill the blade and bowl assembly in the freezer before starting and monitor the amount of time the pesto is being processed. Using cheese fresh from the refrigerator helps control any heat as well. You’ll want to stop the processor three or four times to scrape the pesto from the sides with a spatula. You are looking for a bright green, smooth consistency. When that is achieved, stop. 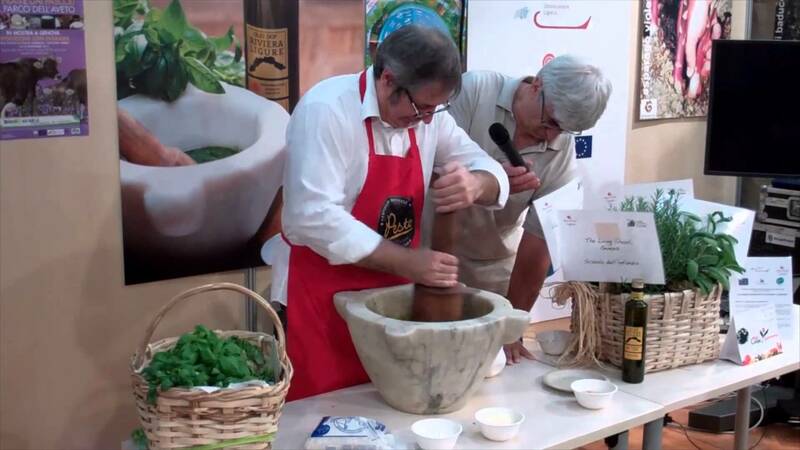 To see how pesto is made in the traditional, handmade method, watch this video we shot at Slow Food Terra Madre last October. 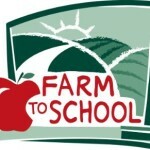 The following best-practice rules and delicious recipe are courtesy of Farm Fresh Now!, a project of The Land Connection, an educational nonprofit that preserves farmland, trains new farmers, and connects people with great locally-grown foods. This series is made possible with generous support from the Illinois Department of Agriculture. The best way to enjoy healthy, seasonal produce is to buy it from your local community farmer. To locate the farmers’ market or CSA nearest you, visit Local Harvest. But it’s the aromatic leaves themselves that contain dozens of volatile essential oils. Their relative concentration is the difference between “regular” Genovese basil, Thai basil, Lemon basil, Holy Basil, Cinnamon Basil, African Basil and all the other basils you’ll find your local farmer growing. Rule #1: Use only the freshest basil. The fresher it is, the better it is. 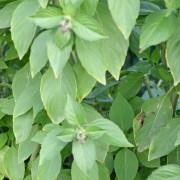 The fragrance of basil is never as seductive as when it is first plucked from a live plant and eaten raw, as quickly as possible after plucking. This is why you should think about having a pot of basil of your own – on the kitchen window sill or in your back yard. 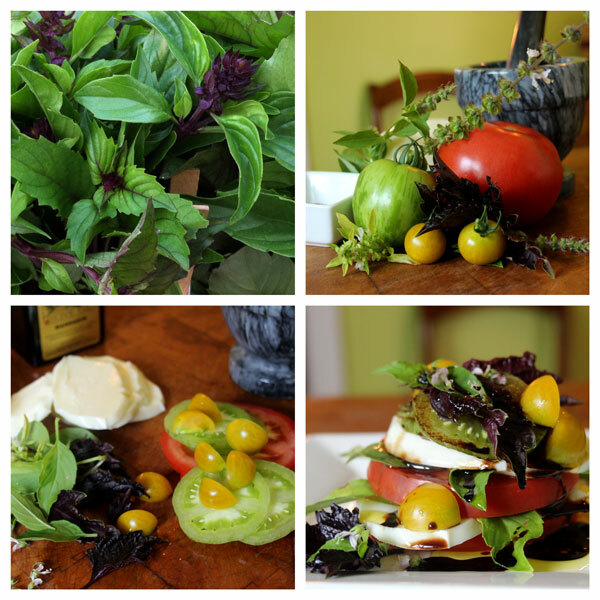 The next best thing is to get basil from a local farmer at a Farmer’s Market or through a CSA. Rule #4: Use basil only in the summer. This relates back to Rule #1, bringing us full circle. Basil is the ultimate summer herb. Its rich perfume evokes warm sunny days and mouthwatering combinations with other summer vegetables – tomatoes, zucchini, peppers. Sure, you can get it year-round in the grocery store, but like tomatoes, basil tends to be insipid when grown in a greenhouse or flown in from California. Some things in life are definitely worth the wait. Basil is one of them.